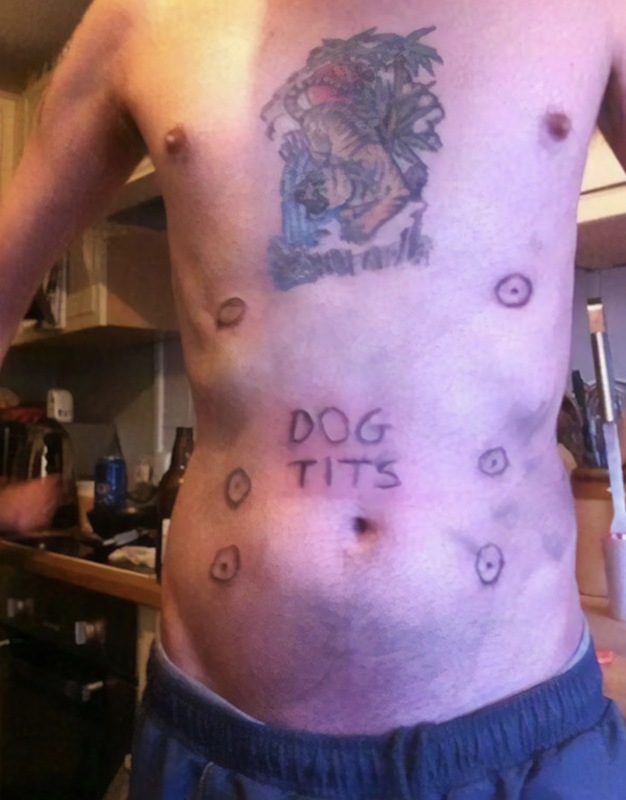 Part of the appeal of a tattoos is that it’s permanent, or at least painful and expensive to remove. 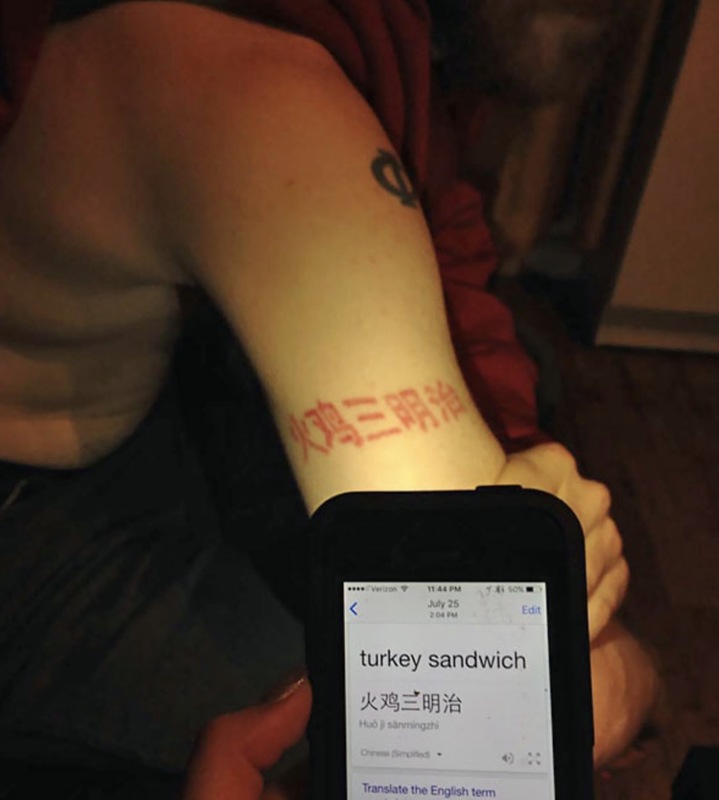 Getting one is as much a personal statement as it is a fashion choice–by inking a design into your skin, you are saying, “This is something so important to me, I’m willing to look at it every day for the rest of my life.” Ideally, before you get a tattoo, you’ll put a lot of thought into it. That doesn’t always happen, of course. 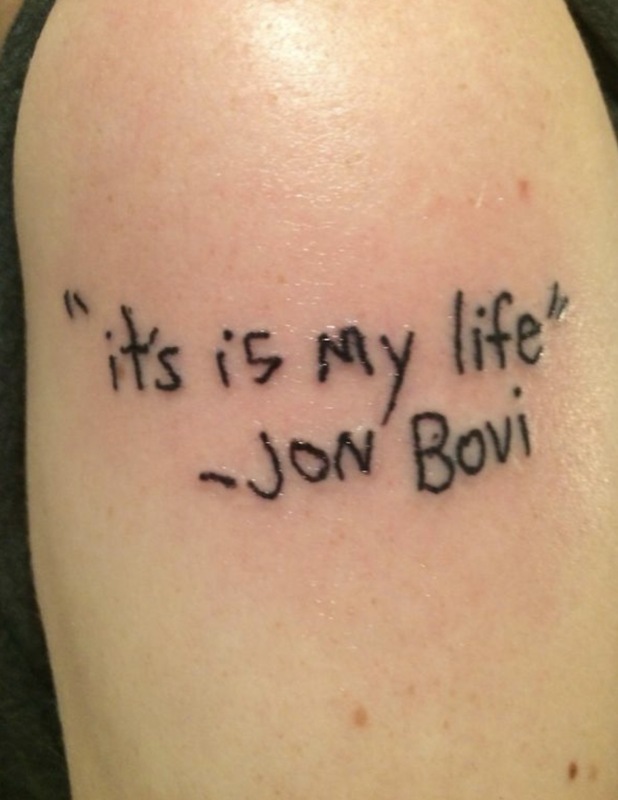 Because there are TONS of people who apparently just show up at the tattoo parlor and ask for the first thing that pops into their head. 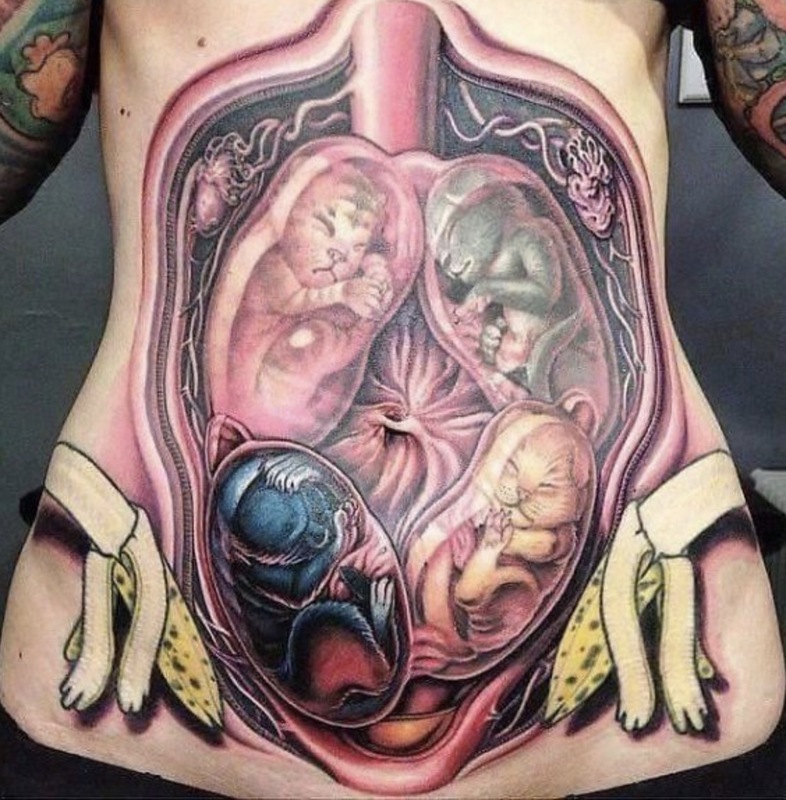 And the scariest thing is just how many awful tattoos there are out there. 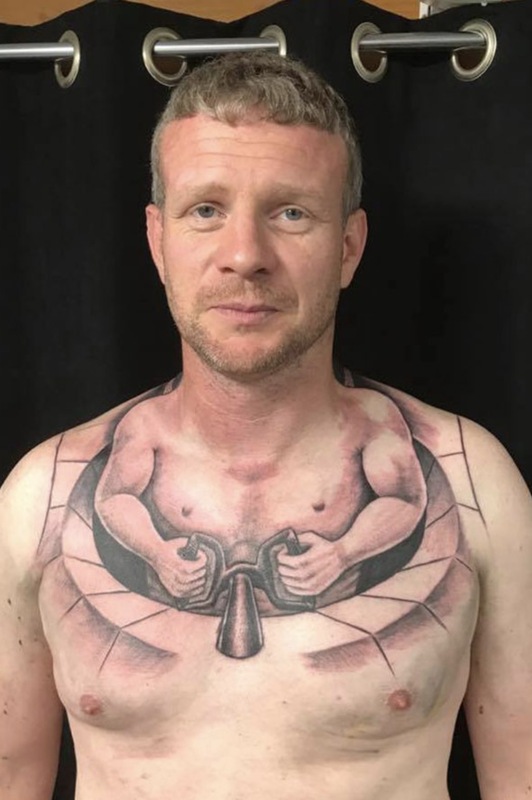 In 2015, there were about 32 million men and 39 million women in the US who have at least one tattoo. 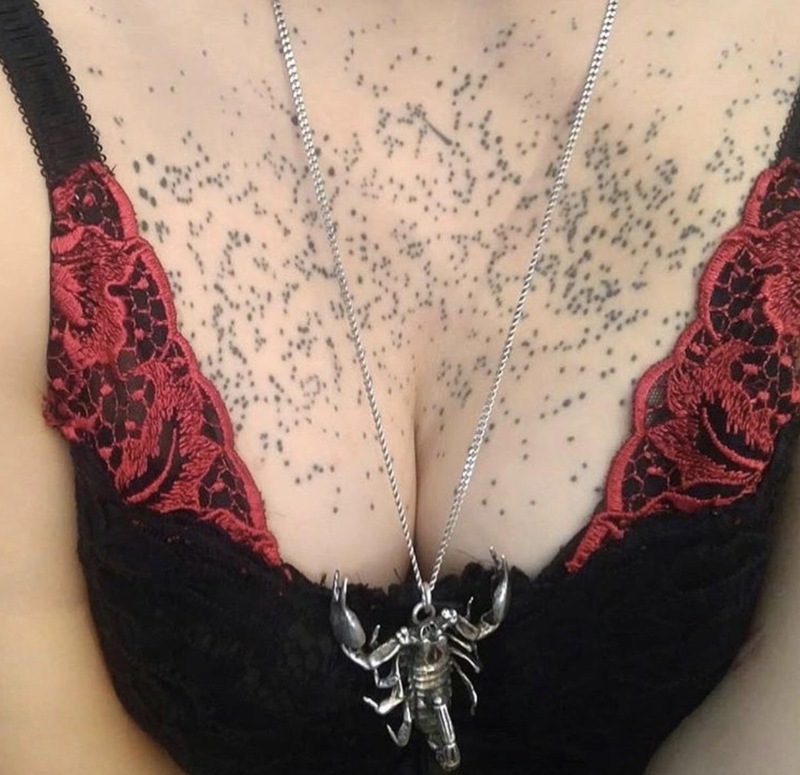 Even if just one in 60 tattoos is awful, that’s still over a million of them walking around our country, ruining dates and family events everywhere. 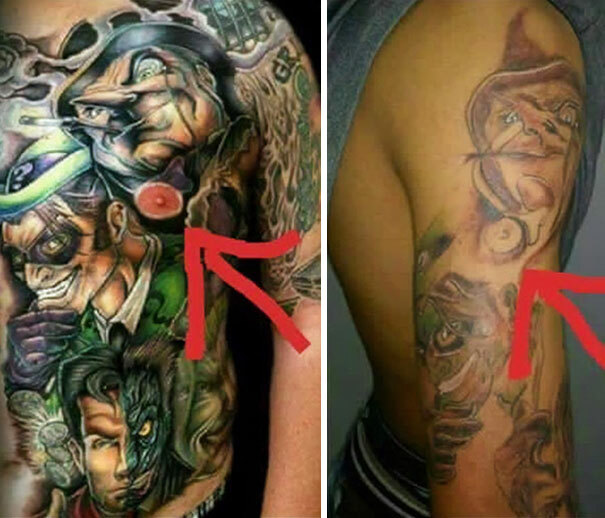 The bad tattoo might be the one resource we can truly count on never running out. 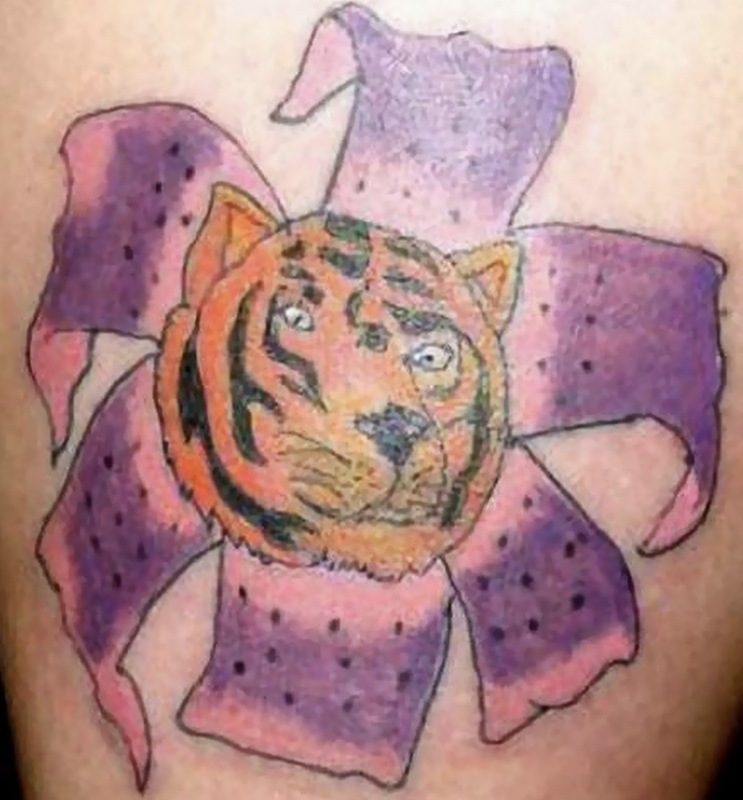 Below, you can check out 15 tattoo fails, first compiled by Bored Panda. There’s questionable taste, atrocious artistry, a woeful lack of spellcheck, and many more varieties that will make you laugh until you cry. 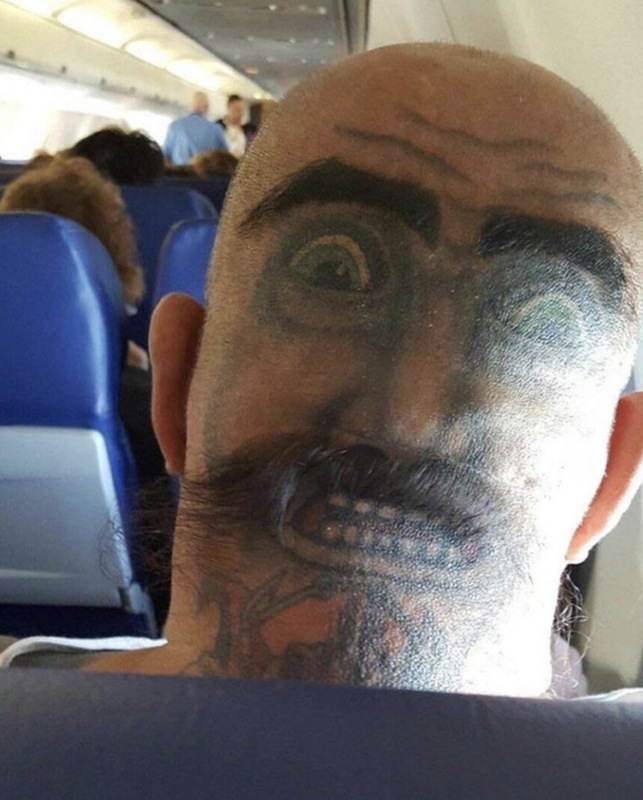 1. Business in the front, nightmare in the back. 2. 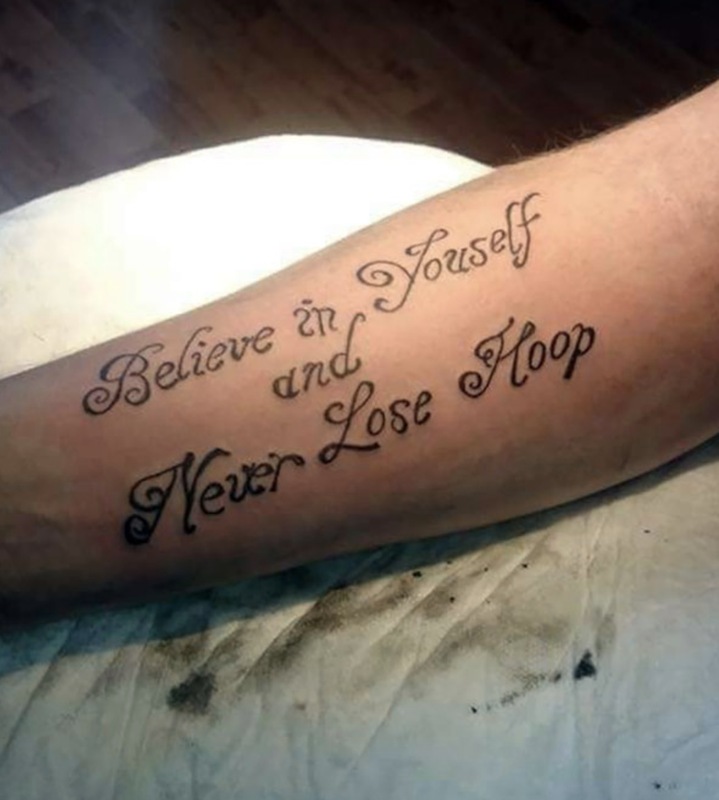 Believe in yourself, unless you have to spell words. 4. 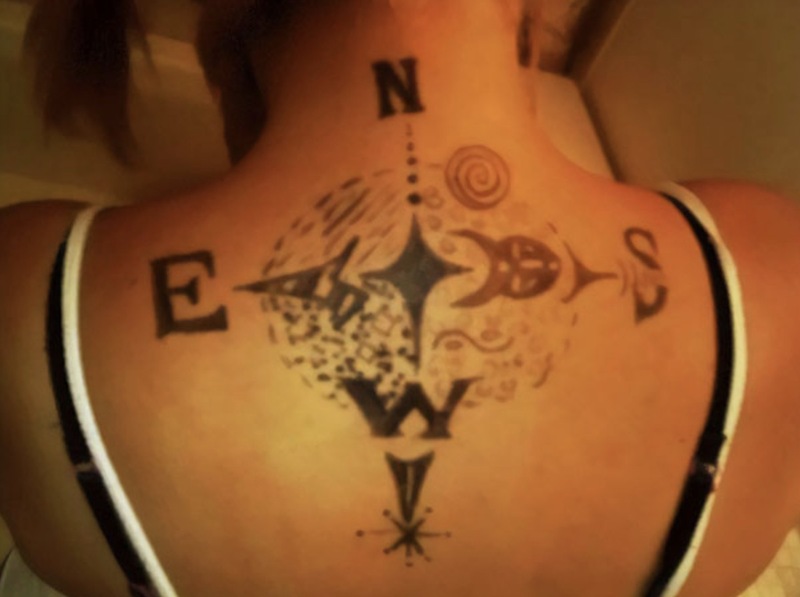 Just don’t get lost at sea with her. 6. Lazy eye of the tiger. 8. A galaxy far, far away. 9. 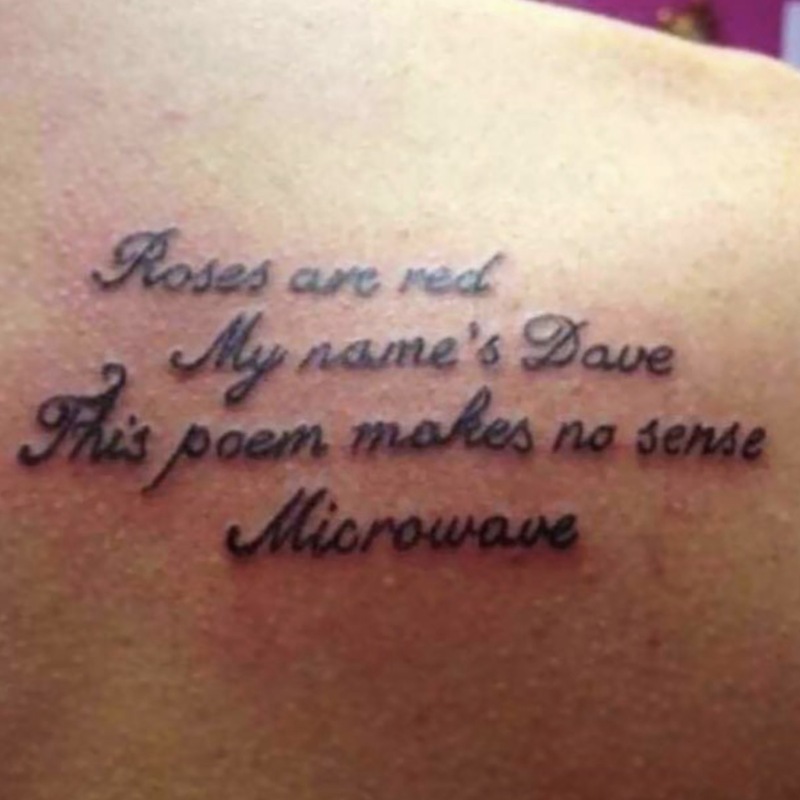 To be fair, hardly any words rhyme with “Dave.” Like, 50 tops. 10. 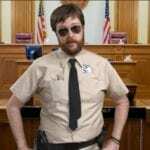 The onion that definitely won’t be confused for something else, nosiree Bob. 12. 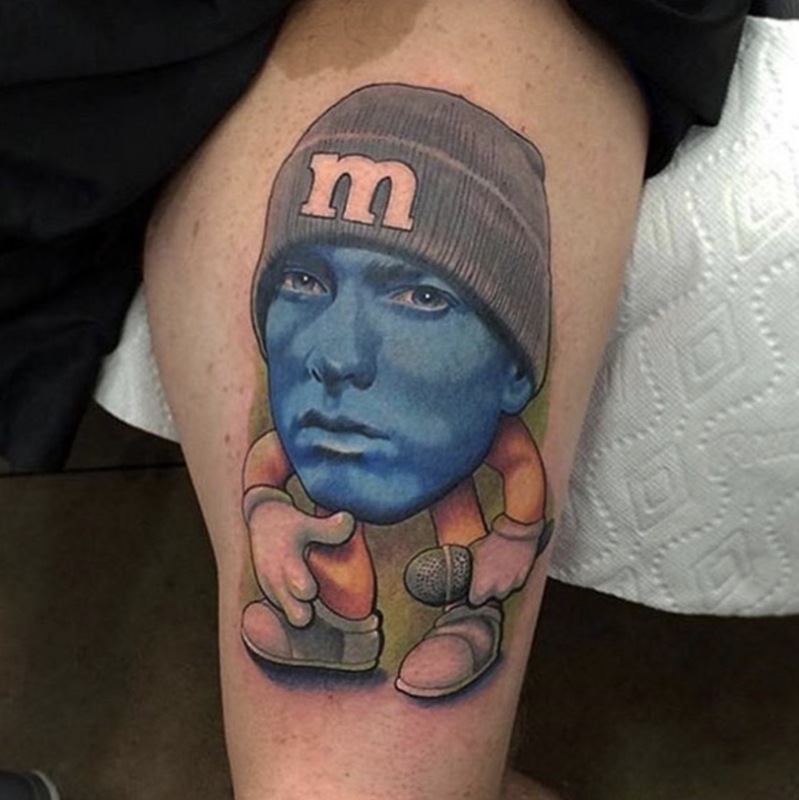 When the tattoo artist REALLY doesn’t like you. 13. 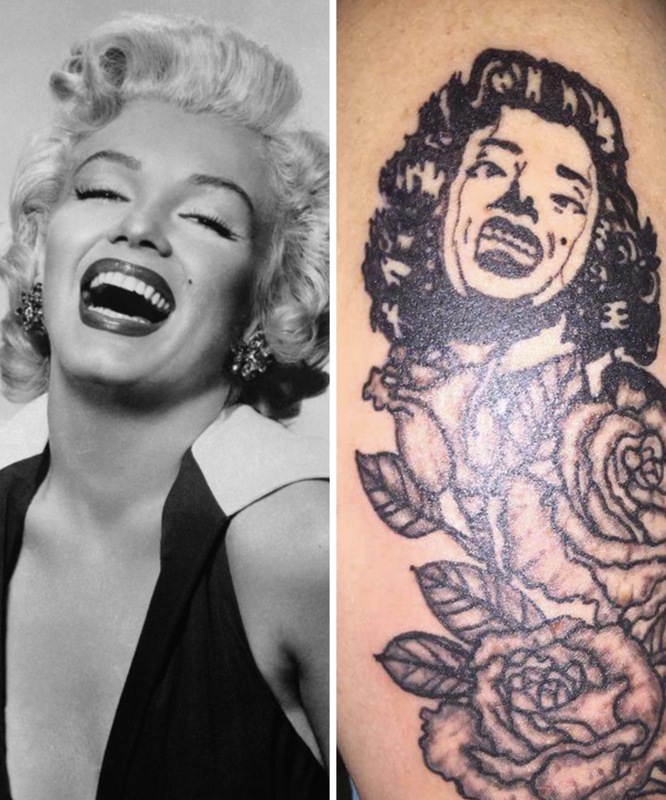 A tribute to the Marilyn Monroe classic, Some Like It Hot…Until Their Face Melts Off. 14. The truth is out there, but you won’t wanna hear it. Mommy Wars: Does This Photo Of Chrissy Teigen And Her Daughter Push Your Panic Button?